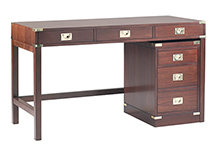 We offer a range of Military Furniture than includes Desks, Bookcases and Filing Cabinet in Mahogany or Cherry finish. Based on the classical Campaign styling. 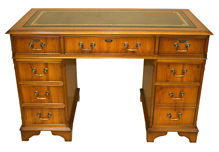 Our traditional bankers lamp with Green glass shade is a timeless piece that has always been popluar. 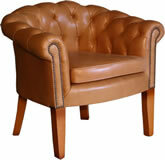 Why not treat yourself at only £75! 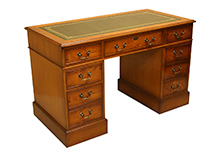 All of our reproduction office furniture is available in Mahogany, Yew, Oak, Poplar and Burr Walnut.